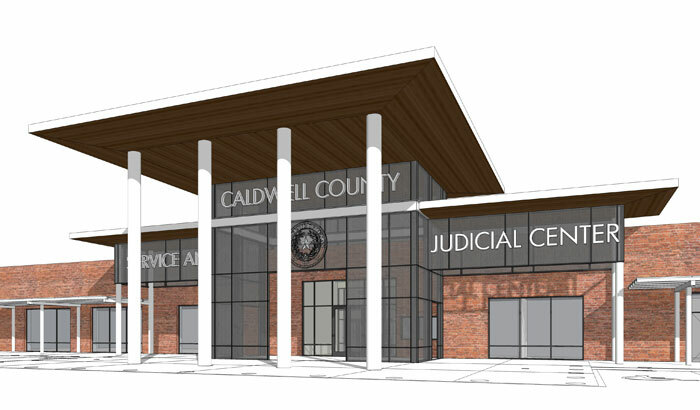 Profile: In an example of responsible building reuse, a former WalMart was transformed into the home of four new courtrooms as well as offices for district and county clerks, judges, and the district attorney. The technology includes an "intuitive" wireless presentation system and advanced AV in multiple classrooms, courtrooms, conference rooms and a 100-seat multipurpose room. The building itself is unrecognizable from its original state, now being sleek, modern, and aesthetically pleasing at its site midway between Austin and San Antonio in the Texas Hill Country.